That’s why when Americans travel, they take American Tourister bags along for the ride! For generations, Americans have trusted this luggage name. Bold, built to last and with all the latest technology and innovations, you can be as confident as a Texan with American Tourister. 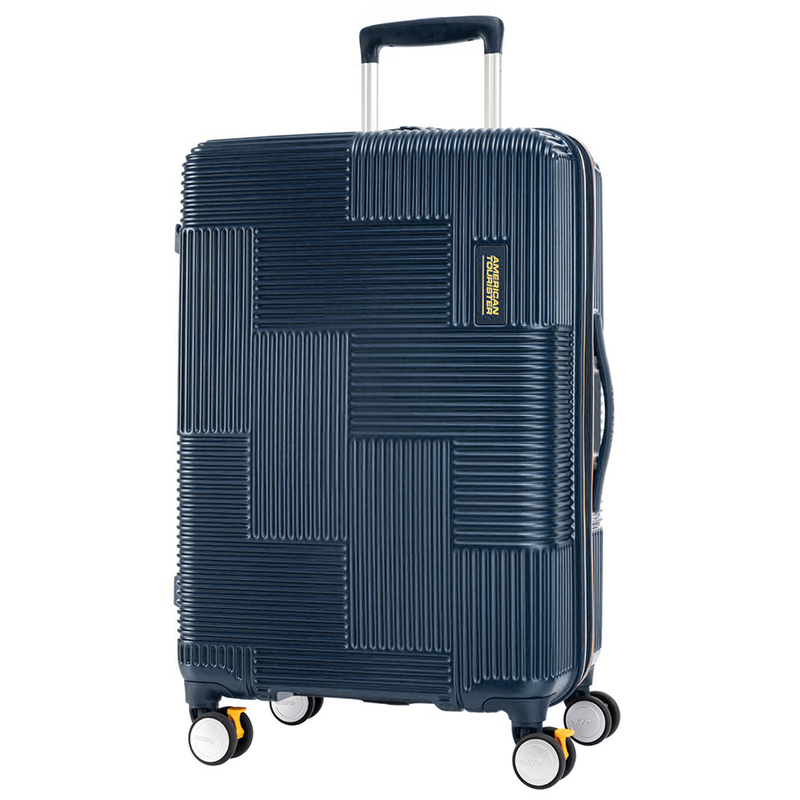 The Velton Collection of hardcase luggage has a distinctive checkerboard grid pattern that looks stylish while adding to its integrity and core strength with its scratch resistant polycarbonate shell. Expandable to encompass all of your travel needs, it also includes the latest StePause™ brake system on front two wheels and comes with its own USB port. .
Make tracks in style with American Tourister’s Velton collection. Crafted with a scratch resistant 100% polycarbonate shell. StePause™ brake system on front two wheels. Multi-stage, telescopic dual tube trolley handle. USB port at top of case to allow wired charging of your devices through access port (powerbank not included). Multi hanging system on left side of case to hang shopping bags or any additional belongings. 2 x functional elastic cross ribbons to secure packed items. Zippered internal divider for easy and efficient storage of your belongings. 2 x internal zippered pockets and 2 x zippered mesh pockets. Integrated 3 digit premium TSA combination lock for secure travel and to protect your personal belongings. A TSA lock works in exactly the same way as a normal padlock, but when you travel in America, it allows security staff at airports to open your bags should they need to inspect them, without the need to damage your padlock or your bag. External Dimensions: 46cm (l) x 69cm (h) x 30/34cm (w).